We serve over 1,000 meals each day. These meals represent hope and life to those coming through our doors. We know that a meal is often where relationships begin with volunteers and staff – relationships that eventually lead someone to enter our programs and change their life, for good! Volunteers are needed to prep and serve meals at our Men’s Campus and Family Shelter every day of the year! In addition, our meal costs are kept low – only $2.02 per meal – thanks to generous donations of food. 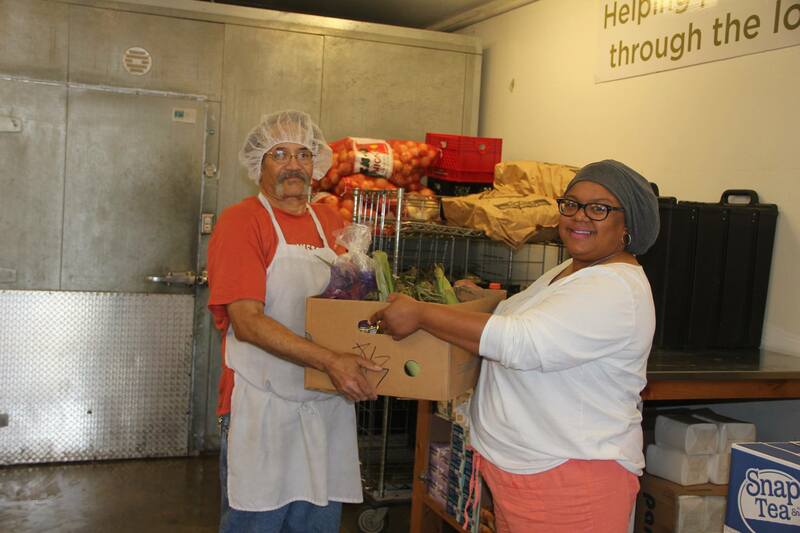 You can volunteer, donate, or host a drive to ensure everyone in our community has access to hot, nutritious meals. To volunteer in our kitchens visit our Volunteer page. Meals are available at our Downtown Campus daily. These meals are open to men, women and children. Meals are also provided at our Adam’s Street Family Shelter but the facility is closed to walk up service. We help all people; including clients, volunteers, donors and staff, to become their best. We provide emergency services such as shelter and food to the homeless or hurting; offer self-sufficiency programs to help lift a person from poverty and break the chains of addiction; support prevention programs and share our Christian faith.